We are about 1 month into 2016! I hope everyone is keeping up with their New Year's resolution or making positive changes in your lives. So far this year, I have been planning a wedding, partnered with a great photographer at 120 Photography, continuing crossfitting (Yes I am a crossfitter and enjoy high intensity workouts), and my love for blogging <3 So far so good! One change this month was definitely the temperature but its been the "warmest" Winter in a while. 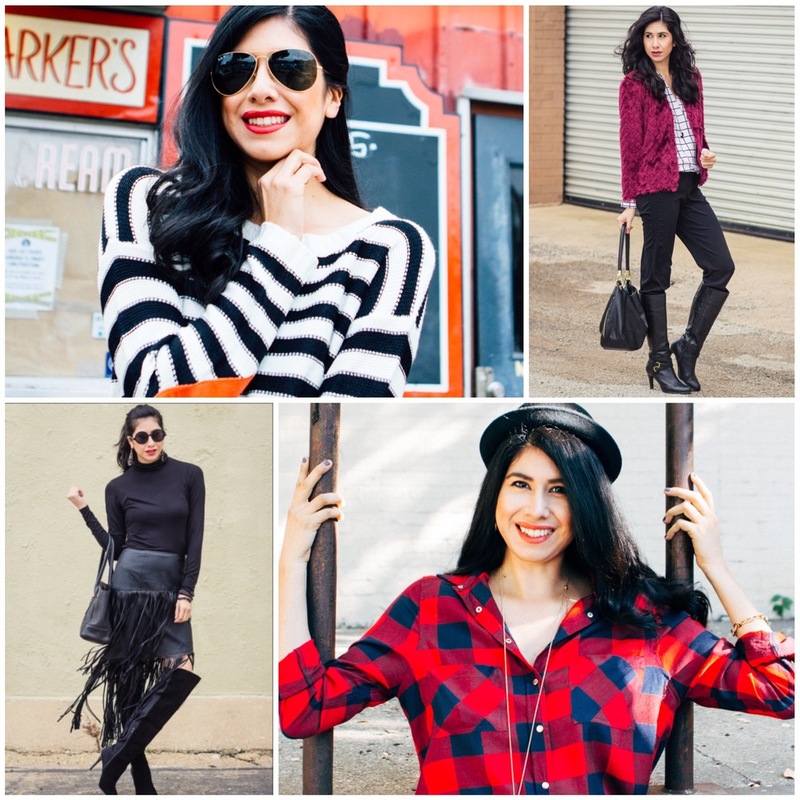 I won't complain about that ;-) Here are my recaps and as always feel free to #stealmystyle ! Be inspired! This cardigan is a lot of fun! How I love the fuzziness to this texture!!!! More on the "fuzzy" cardigan here ! Because black on black with a little fringe and over-the-knee boots are HAWT! Shop the look on this blog here !